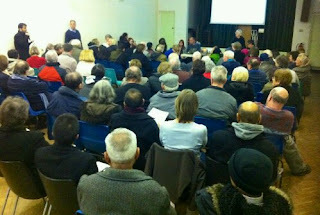 “I’m sorry to see SCL and its members being castigated for demonstrating a very professional approach. 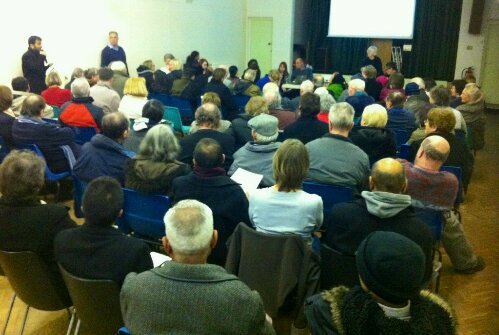 They absolutely should be engaged with the government on the subject of cuts; councillors impose cuts and SCL work to minimise their impact. On the subject of libraries’ day, it’s surely an opportunity for the public, the press, the arts community et al to celebrate what libraries do, day-in, day-out. With budgets cut to the bone and jobs, stock and opening hours under threat, who could justify spending money on bunting, face painting and other jollies.” Anonymous comment on this website. 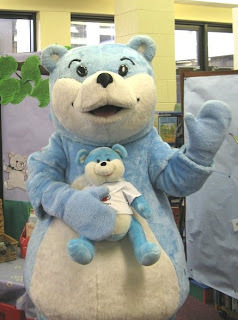 “Other jollies” – The BookStart Bear Club being launched at Rock Ferry Library, Wirral. Let me make my viewpoint clear. Now is exactly the time to promote the service in any way libraries can. The SCL needs to shout it loud and proud that libraries are alive and well and positively affecting lives locally and nationally. Libraries should get school groups in, get authors in, arrange whatever they can. Anonymous is of course right in his or her assertion that money should not be wasted. Things that are nice for staff but attract few people are not a good idea. Time to make every event count. But, but, but … not doing anything is the Pontius Pilate approach. His reputation is not the best and his time in office is not fondly remembered. Public libraries cannot rest on their laurels. The last year has proved that beyond doubt. The public needs to be got on side and that will mean politicians will get on side. Any promotional opportunity that comes along should be grabbed and embraced, especially if it is something like a national day that will multiply publicity. 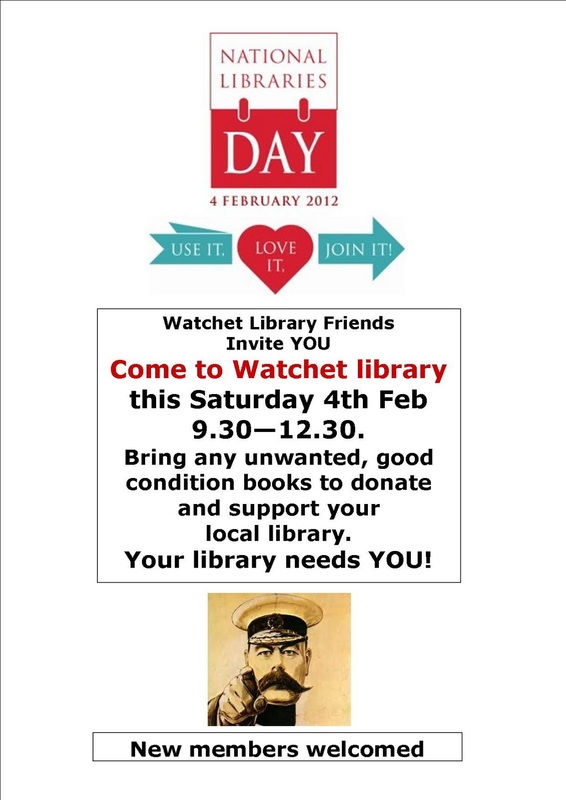 Somerset: Watchet Library Friends are doing more on the day than all of Kent. Ask anyone if it is a good thing for a company if it decides it can’t afford to advertise any more or if it fails to maximise on free promotional opportunities. Such organisations tend not to last for long. Looking dour, keeping one’s head down and working behind the scenes in a “professional” manner is one answer. But it is an answer that drawn to its logical conclusion means the end, ironically enough, of the profession. Attend the Speak Up for Libraries lobbying event on 2.30pm 13th March at Central Hall, Westminster, London. #librarieslobby hashtag. Beforehand there will be a rally from 12 – 2pm at Central Methodist Hall featuring keynote speakers, films and entertainment. There will also be a ‘pop up’ library on display to demonstrate the range of services offered in a modern library. National Libraries Day, 4th February 2012 – Attend or publicise an event on the excellent NLD website or check your local libraries website. “Berlucchi said 92% of the 1.3m e-readers estimated to have been sold in the UK over Christmas were Kindles. He said the use of DRM helped Amazon consolidate its position. “Amazon uses DRM to lock people in. You can’t take the files out. The problem is that if you go down the Amazon road, you can’t drop out. If you drop out of Kindle, you lose all your books. They [Amazon] are using DRM to build their silos, like Apple did in the beginning with the iPod, which is how they [Apple] dominated the music market,” he said.” Anobii chief says drop DRM to fight Amazon – BookSeller. “I recognise that libraries must modernise and I have been impressed with the range of services being offered by different libraries that I have visited in the early stage of my national library tour. It is imperative that we keep the pressure on the government to act faster and smarter to save these vital pillars of our communities.” Dan Jarvis MP, shadow minister for libraries in As National Libraries Day nears, our libraries remain under threat – Left Foot Forward. 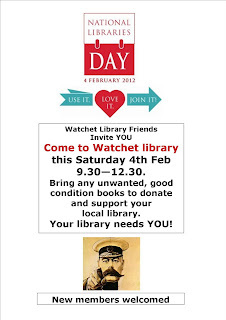 Kent “ignores” National Libraries Day – BookSeller. SCL defends itself against blogposts/twitter and points out that there are events going on in many of its libraries. In Kent, however, staff have been ordered not to put events on for the day. Our evidence to the Culture, Media and Support Committee – Voices for the Library. Summary of the major points to the Select Committee on Library Closures and a link to the full text. Edinburgh – New Drumbrae Library (£5.7m) opened, inc. cafe, computer classes, police/council services. Suffolk – Halesworth Town Council agrees to pay 5% of running costs of Halesworth Library. Gloucestershire – GCC’s new consultation survey: “baffling”, “manipulative” and “full of assumptions and loaded questions” – FoGL. Campaign group argues that the new consultation repeats many of the mistakes and errors of the old one that was ruled illegal in court. People of doctoral level are finding the survey confusing and loaded: “each of the pre-written answers to Question 7 will generate data which can be used to justify the current proposals”. Town council step in to help Halesowen Library – EDP. Town Council will fund 5% of library budget by increasing it’s council tax. Print article This entry was posted by Ian Anstice on January 31, 2012 at 10:38 pm, and is filed under Uncategorized. Follow any responses to this post through RSS 2.0. You can skip to the end and leave a response. Pinging is currently not allowed.